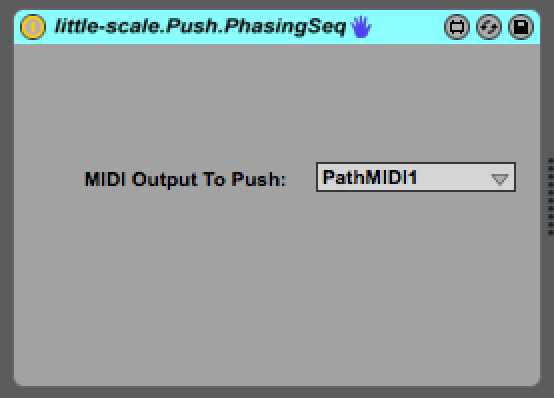 A simple phase sequencer for Ableton Push. Used in conjunction with the PathMIDI.Receive. Press and hold the tap tempo button to set the phrase length for each pitch independently.